YES! Order Your VXX Mastery Downloadable Video Course Today! If you’re like a lot of traders I help, you’ve seen the recent selloff in the S&P. And you want to make smart trading decisions to help you capitalize on the volatility we’re seeing. One of the best ways to do this is by trading the popular VIX ETNs, because they offer high volatility and trade on large volume. But because of their volatility, they can also be risky, if you trade them incorrectly. Good news, though — I’ve traded them for years, and you’ll be learning my top personal trading strategies in this valuable training once you register. 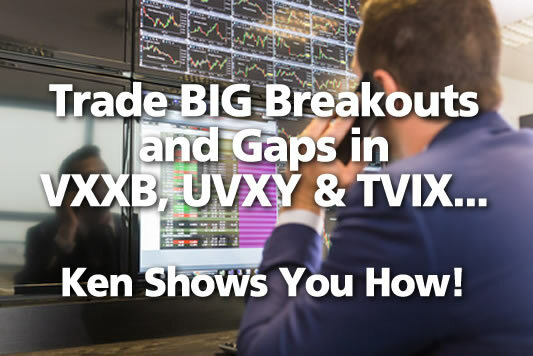 In my new ‘VXX Mastery’ training you’ll discover exactly how to day and swing trade the top 3 volatile VIX ETN charts that have the best trade potential: VXX, UVXY & TVIX. Be sure to order this thoughtful, step-by-step professional trading course for active traders, based on my personal “lessons learned” from trading these 3 ETNs for many years — order today! 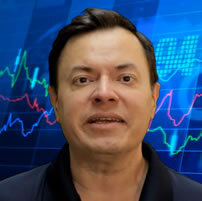 THE FASTEST, SMARTEST WAY YOU CAN POTENTIALLY CAPITALIZE ON THE STOCK MARKET SELLOFF! There’s never been a better time to unlock these powerful, potentially profitable trading strategies with internationally published trading pro Kenneth Calhoun. You’ll see exactly how to identify specific trading setups you can begin using immediately the very next time you trade. Go ahead and enroll now — it’s easy! What type of trader is this for? It’s primarily for stock & ETF swing traders (all experience levels). I’ll also explain intraday and position sizing techniques using live charts. How do I access the training once I order? You will get an instant download link to the .zip file that contains your .wmv video, mp3 audio plus PDF. You can even copy this .wmv to your tablet or cell phone/mobile device/kindle or watch on your pc. You get a FULL 1 hour, 41 minutes (runtime = 101 minutes) of high resolution downloadable video you’ll learn from… a super value.